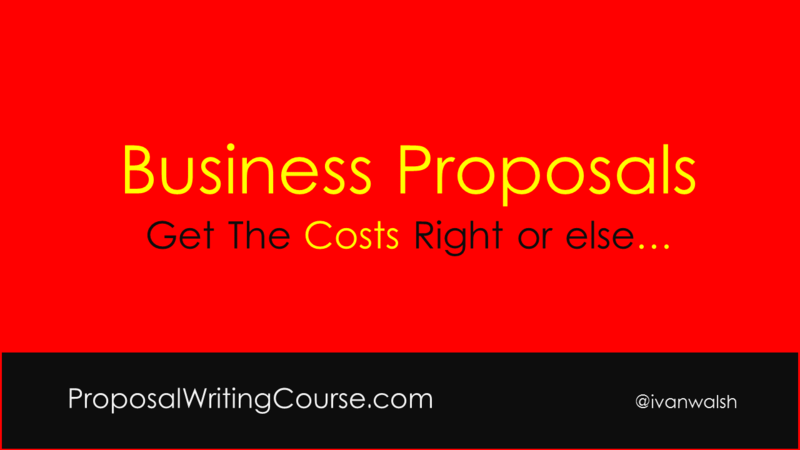 Having difficult getting started with the Budget and Costs section in your Business Proposal? The purpose of the Budget is to give more than just a statement of proposed expenditures; it is an alternate way of showing, for example, the fluctuations that may arise depending on how the scope of work may change or if new requirements are added to the list of deliverables. In essence, your budget is as much a credibility statement as your project narrative. Key Budget questions to answer? Provide sufficient resources to carry out your project? Include a budget narrative that justifies major budget categories? Present the budget in the format desired by the sponsor? Provide sufficient detail so the reviewer can understand how various budget items were calculated? Relate budget items to project objectives? local mileage for project director, 100/mi/mo @ .27/mi x 12 mos. = $324. Indicate the name, location, and date. In multiyear budgets, allow for yearly increases such as inflation. If the project will occur in phases, identify the costs associated with each phase. Include a budget narrative immediately following your budget to explain or justify unusual expenditure items, even if the sponsor does not require one. Ultimately, it shows how well you’ve estimated the time and effort required to complete this project. Budgets that are too low cast doubt on your planning skills and ability to gauge the amount of work involved. What other mistakes should we avoid?